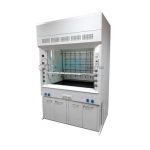 Laboratory Fume Hoods India, Laboratory Fume Hoods Manufacturer, Laboratory Fume Hoods Suppliers & Laboratory Fume Hoods Exporters in India. 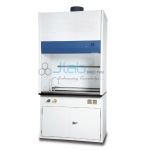 JLab is renowned Exporters & Manufacturers of Laboratory Fume Hoods & Scientific Lab Instruments India, Laboratory Fume Hoods Exporters, Laboratory Fume Hoods Suppliers India. 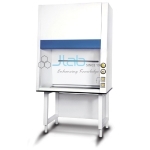 Efficient counter-current gas/liquid contact results in 95-98% for most water-soluble acid and base laden airstreams. 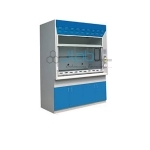 Plastic impeller and casing that are highly resistant to chemicals and corrosion; specifically designed for corrosive fume hood applications. 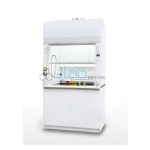 Tri-wall construction for maximum robustness. Internal chamber constructed of grade stainless steel with coved corners. 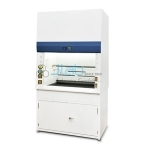 Combined single wall / double wall construction allows for easy installation of service fixtures on the front panel. 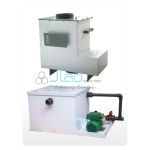 Industrial grade support frame constructed of electro-galvanised steel and aluminum with oven-baked epoxy powder-coated finish. Internal liner constructed of phenolic resin laminates with no exposed screws / metal to avoid corrosion hassle. Unique Hot Zone Baffles capture fumes quickly. 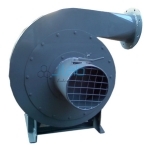 The tapered fibreglass exhaust collar reduces airflow turbulence, static pressure loss, noise level and increases face velocity uniformity.